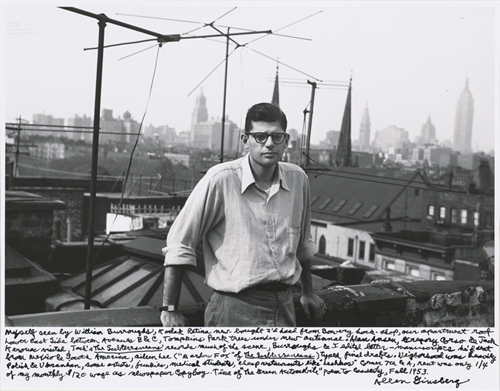 One of the most visionary writers of his generation and author of the celebrated poem “Howl,” Allen Ginsberg (1926–1997) was also a photographer. From 1953 until 1963 he made numerous, often exuberant portraits of himself and his friends, including the Beat writers William S. Burroughs, Neal Cassady, Gregory Corso, and Jack Kerouac. Eager to record “certain moments in eternity” as he wrote, he kept his camera by his side when he was at home or traveling around the world. 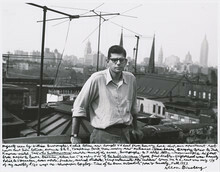 For years Ginsberg’s photographs languished among his papers. When he finally rediscovered them in the 1980s, he reprinted them, adding handwritten inscriptions. Inspired by his earlier work, he also began to photograph again, recording longtime friends and new acquaintances. Beat Memories: The Photographs of Allen Ginsberg includes over seventy photographs by the renowned poet that tenderly capture the young writers and rebels who would define the Beat Generation. Far more than historical documents, Ginsberg’s photographs share the same qualities that governed his poetry—intense observation of the world, deep appreciation of the beauty of the vernacular, and faith in intuitive expression. $12 adults, $10 students and senior citizens with a valid ID, and $5 5.28–6.28.13 and on Thursdays after 5pm. Youth 18 and under free.